Looks like a normal alarm clock, right? 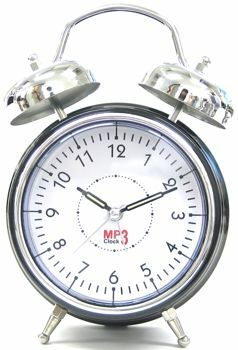 Look closer, though – it’s an MP3 retro-style alarm clock. 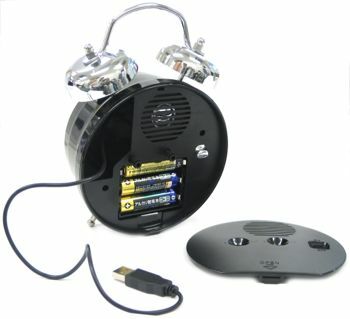 The Thanko USB Retro MP3 Alarm Clock is officially compatible with Windows 2000/XP. No Mac support is mentioned. Randomly playing full-length songs would be a lot cooler.